I want to salute former Wisconsin Attorney General Peg Lautenschlager who sadly passed away yesterday by posting this link to one of her opinions brimming with relevance and scholarship. As Wisconsin contemplates granting the City of Racine a diversion of Great Lakes water to supply the Foxconn project with the bulk of a requested seven million gallons from Lake Michigan daily, I suggest you read her 2006 opinion and analysis of Great Lakes water management, goals and diversions - - an opinion not widely reported by media or widely distributed at the time. 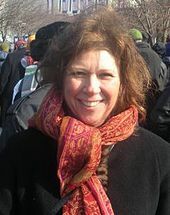 Former Attorney General Peg Lautenschlager blasts [in a Capital Times op-ed no longer online] Wisconsin officials for their "do nothing" policy in the wake of Indiana's permission to British Petroleum allowing its Whiting, IN refinery to increase polluted dumping into Lake Michigan. Lautenschlager is right about Wisconsin's curious and disappointing silence - - something I had noted on this blog almost two weeks ago. And Lautenschlager mentions the rush to push Lake Michigan water to some Waukesha County suburbs. While Attorney General, Lautenschlager issued a 20-page opinion saying the Wisconsin Department of Natural Resources did not have the authority to approve any diversions of Lake Michigan water without the approval of the other seven Great Lakes states. I have several times on this blog pointed to Lautenschlager's opinion - - here is the first mention - - and said repeatedly that its existence has been ignored by mainstream media. Lautenschlager's opinion was released before the Great Lakes Compact now in force won its approvals in 2008. And while the current Compact and earlier agreements in force at the time Lautenschlager wrote her opinion have some dissimilarities, all the official documentation and language connected. Her discussions of decades of US-Canada agreements to manage the Great Lakes which the two countries share - - and especially her supporting scholarship about the need for diversion caution by the DNR, and for oversight of water guided that is guided by conservation, and for the significance of the Public Trust Doctrine which predates the Compact and guarantees the people's fundamental rights to water - - are all powerfully instructional and relevant right now because Wisconsin in the Scott Walker/Attorney General Brad Schimel era has been debasing the Public Trust Doctrine and the value of water conservation while pursuing yet another controversial Lake Michigan diversion, this time for Foxconn. It is huge loss for Wisconsin that Peg Lautenschlager is gone at the far-too-young-age of 62, but we are fortunate that she left us a rich, publicly-spirited legacy, of which this opinion is but a sample. Ryan's soul search is over. Things we also found. WI tightens public assistance rules. Walker safe. Gun control town hall? Not for Paul Ryan.